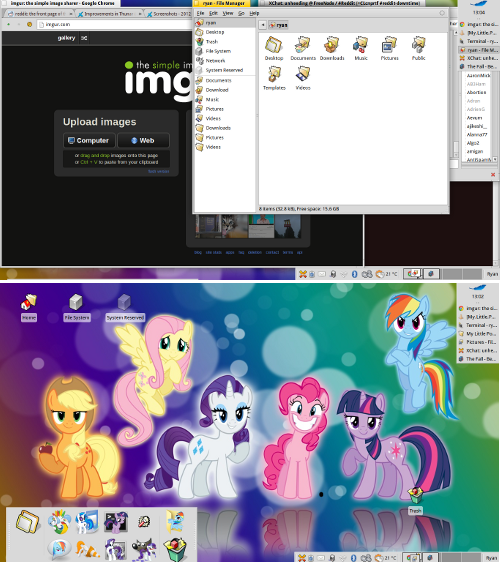 Xfce4-panel in autohide mode and tint2 panel on the bottom with a very basic conky. that is on every other forum I am a member of. 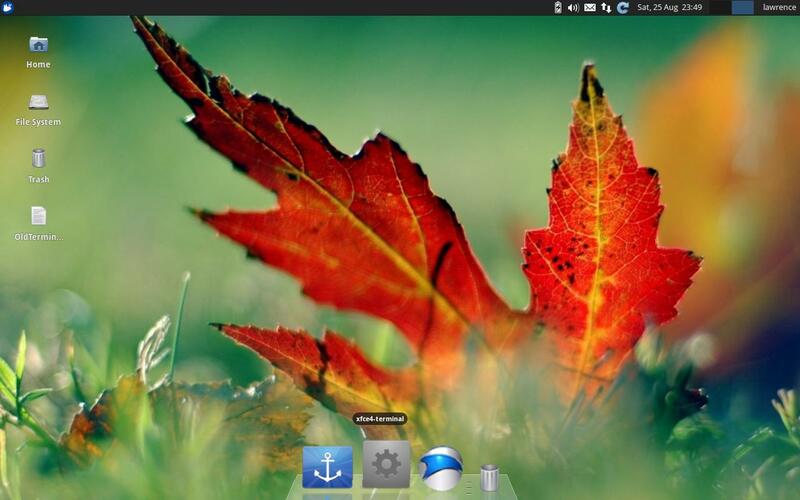 Linux Mint 13 XFCE Orta theme and Faenza icons. I'm new to linux and i'm so happy i switched because its so fast, no virus, and i have so many choices! 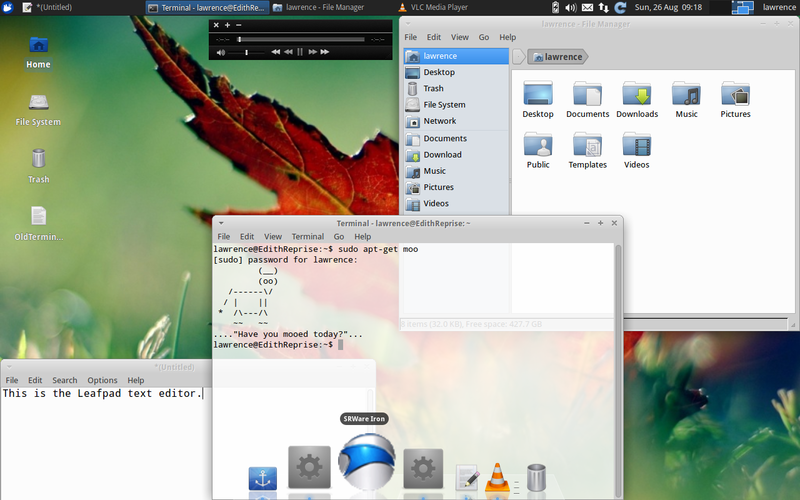 i love Xfce because it is very configurable and lightweight! use of AWN and Conky. I wish it was XFCE 4.10. I can wait. I must say, the results were extremely satisfactory. Just a little "Anti-Grey" theme I'm working on. Don't know about you, but that car's kinda looking at me funny! 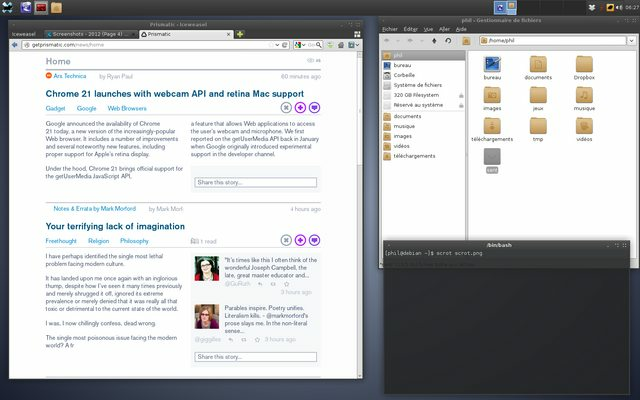 Forgot, running Xubuntu 12.04 With Xfce 4.8. 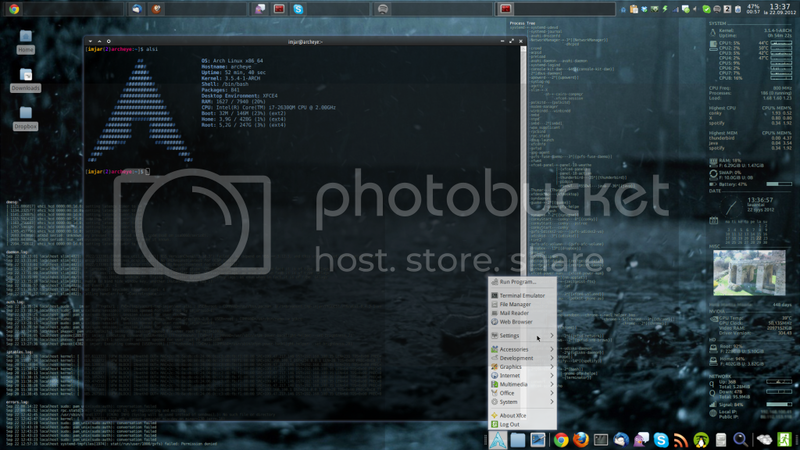 Hi, I'm new to this form, but have been trying out different Linux Distro's and desktops for over a year now, this it what I've decided to stick with. wallpaper= spectrumblackelegantcol.jpg from a image search. 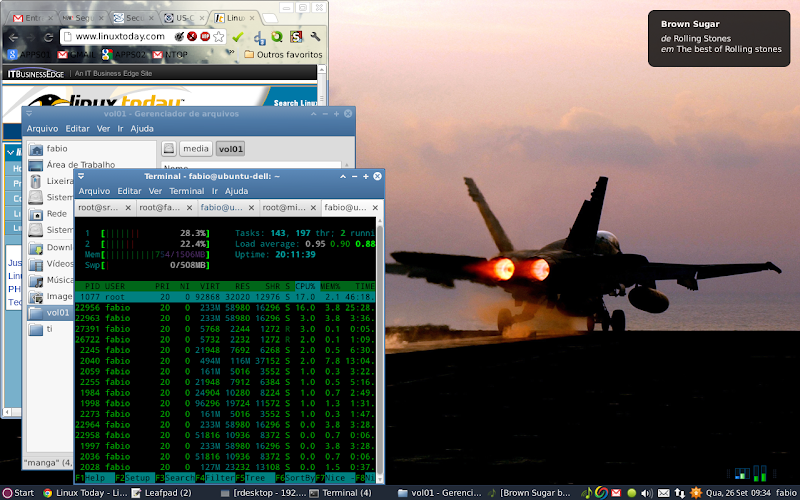 This is an Acer Aspire One net-book on a 1680x1050 external monitor since I'm at home with Mint Maya-Xfce[Xfce-4.10]. Off the external monitor is why I set up the top panel, 1024x600 internal monitor, made one bottom panel just too small for what I wanted. Work habits make side panels un-useful. Any questions about config (conky, toolbars, GTK, etc), let me know. is that conky on the right? Great configuration, care to share? 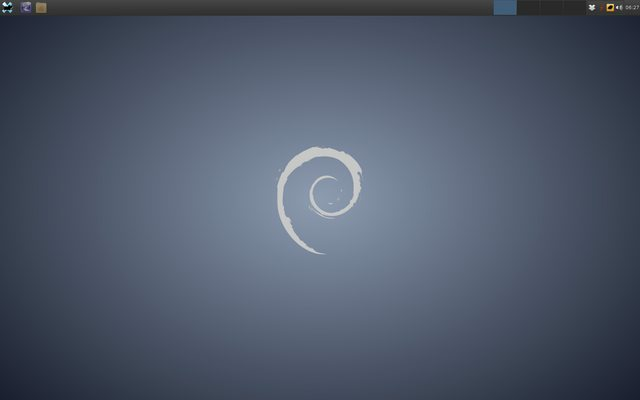 Can you get mintmenu on xubuntu? Also, how do you get that nice bottom bar? Is that docky? That's Avant Windows Navigator (AWN) dock. I suppose that if you add Mint's repositories to your sources.list you just need to install the xfapplet panel plugin and mintmenu itself. on my six year old dell.